The EDM world is very quickly merging with the pop world, as seen on the Top 40 charts right now, and RAS is hoping to join the group of artists making the cross over. 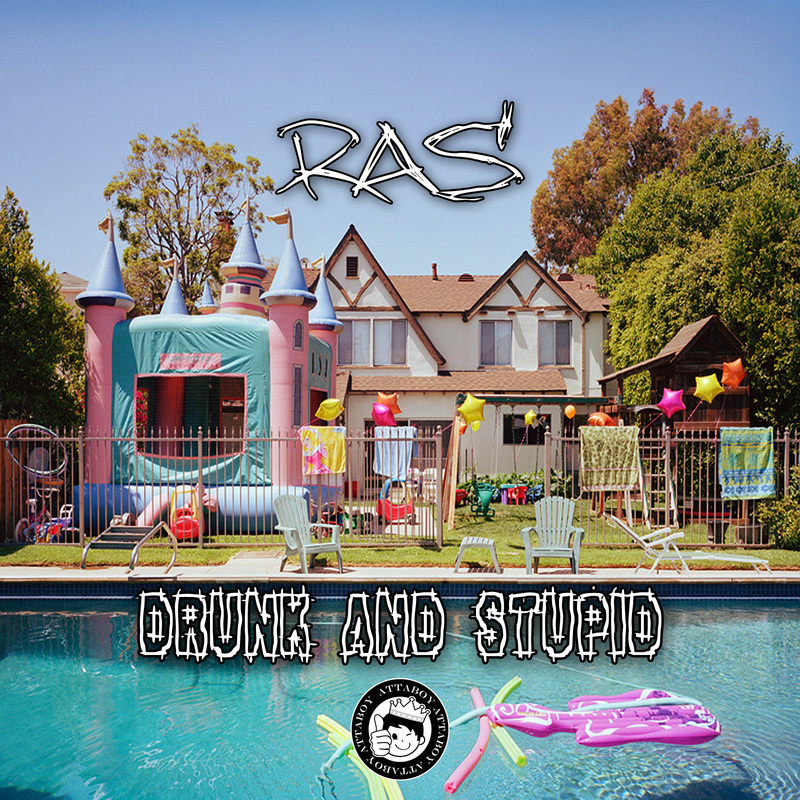 A successful writer of many pop songs over the past few years, as well as a successful producer, RAS is making the jump to being a solo artist with his new single Drunk and Stupid, which can be previewed HERE on his SoundCloud and purchased HERE on iTunes. Personally I think the song is awesome and a total summer hit! What do you think of this new anthem?! Let us at Hit Zone know at @HitZoneOnline, or let Ras know at @RASOfficial! Gabi back here with an artist to watch! Steve Aoki is a mostly Electronic artist, but with this new track, hes heading a little more in the pop direction. The video above was taken in Chile at Lollapalooza where Steve played for 20,000 people! Its the first time hes played the song, and as of right now its called "Transcend". How do I know this? Our new guest blogger who will start later this month is none other then the writer of the song! Nicholas "RAS" Furlong has written for artists such as Big Time Rush, Jordin Sparks and the Janoskians and is currently branching in to the world of being an artist himself! He also lends guest vocals to this new track and we think it sounds fantastic! Like the song? Let us and him know! You can find us on twitter @HitZoneOnline and @RASOfficial! Long time no see! Gabi back here with advice for your summer shows! Most of us only have about a month of school left and its time to start thinking about summer tours. From Big Time Rush, to One Direction, to Carly Rae Jepsen and The Wanted, it seems just about everyone is touring this summer. I have the tips to make your concerts this summer ones you will never forget. 1. EARLY EARLY EARLY! If its a seated show, buy tickets as soon as possible! Tickets for big artists sell fast, and you want the best ticket for your money! For general admission shows, like Warped Tour and some of the pits on the arena tours this summer, get there early to get a good spot! It may seem like a lot of waiting but in the end, it will well worth it. 2. Meeting the artist? The best way to meet an artist is through a meet and greet, and often you can win these from your local radio station! Check early and often for contests and try your best to win! Get creative and get your friends to help you out with votes! 3. Bring a friend who doesn't know the artist yet! If an artist you want to see isn't loved by your friends yet, invite them along! More often then not you will have an awesome time, an awesome memory, AND a friend who now loves the same band you do! Perfect! 4. Outdoor Show Exclusive Tips: Stay hydrated! I can't count the number of outdoor shows where I've seen a fan taken out on a stretcher due to dehydration. You don't want to be in the hospital AND miss the show! Its no fun to see it happen, and you do not want that to be you. Watch how sunny it is - a hat or sunscreen is never a bad idea to throw in your bag. Sunburn will make for even worse PCD (Post Concert Depression) the day after. Hey people! It's Gabi back here with another Artist You Should Know! UK artist Passenger is Mike Rosenburg, a solo singer/songwriter. Many of you guys probably saw him opening for Ed Sheeran this summer all over the United States and England! His soulful songs and extremely unique voice are a really interesting rare find. His single Let Her Go has actually been added on some radio stations in the US and Europe! A personal favorite song off his latest release "All The Little Lights" (album artwork above) is the song Holes. He writes about how sometimes things get a little off track, but you have to carry on. If you are a fan of Ed Sheeran, (and really who isn't), make sure to check out Passenger on iTunes! Hey Everyone! Its Gabi, back with another artist you should know. Some of you may have already found these guys, or even seen them open for the likes of Hot Chelle Rae, Justin Bieber or Owl City, but some of you haven't and thats why I'm here! Action Item is a pop/rock band out of New Jersey. David, Mark, Dan, Brian and Anthony (in order above), make great music about things that actually happen to you, not just music thats "up in the club" or whatever. Over the last several years these guys have grown from a local hometown band to a band with a fan base all over the world. I've had the chance to watch these guys grow both with music and as people. They have a new single out called Last Day of Summer, the perfect song to end the season. The video is up on MTV.com and it already has over 70 thousand views in one week! You can pick it up on iTunes here! Slowly but surely Action Item is getting bigger and don't you want to be able to say "I knew them before they were famous!"? I found these guys at a small show about two years ago and I've never looked back. They are some of the most genuinely nice people you will ever meet and some of the best people in my life. Having a bad day? Action Item music can fix it. You won't regret going to see them when they come to your city. I STRONGLY encourage you to check them out! Hey everyone! Gabi back here, this time talking about small shows. Most of the shows I go to are in Minneapolis, Minnesota. Unless you live in New York or LA (and even if you do) you most likely will see the people at these small shows again. 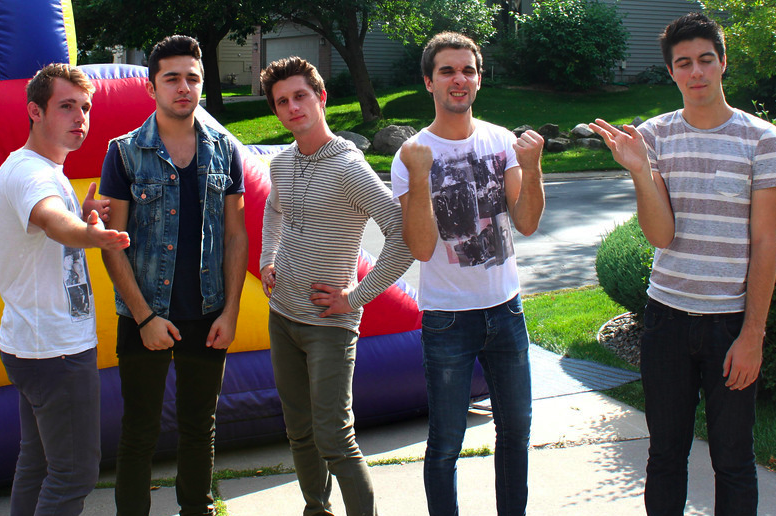 I heard a girl at the small Hot Chelle Rae show this spring go "I won't see any of these people again, lets push". Not a good choice! After 2 or 3 shows of the same type (small acts like Action Item, Allstar Weekend, Owl City and groups like that), you will start to recognize these people. You may not like these people, you may even hate these people but compared to a new kid only there for the headliner (like at Hot Chelle Rae), they are your new best friend. This being said: There generally are drunk people, or girls who want to get closer. Expect pushing. Deal with the pushing, its how it is. If you choose to push remember that you will probably see these people at the next show and that they might not like you. Some of these places will have bad lighting, DEAL. Using flash with your 1000 dollar DSLR camera is the fastest way to get securities eyes on you and they will tell you to put it away. Buying posters: If you really need a poster from merch, please wait until the end. No one cares if it gets crushed, they just want to grab the lead singers hand. It will get crushed if you have it in the crowd. Bringing Posters: No one likes the girl with the full posterboard that says "pull me onstage!!!". 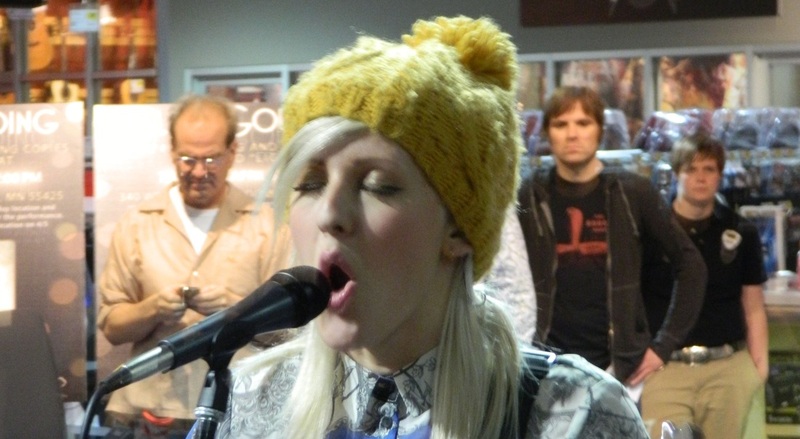 You are blocking anyone behind you and its pointless, the band will probably notice you in the show. If you really need to say something make yourself front row (by waiting, not pushing) and get a sheet of paper and put the message on it. Flipflops/Heels: Just don't do it. Don't be "that girl" who's feet WILL get trampled and be dying by the end of the night. You can't complain if you aren't smart enough to wear good shoes. Stuff in back pockets: Its going to get taken. Some venues are not exactly in the nicest area or it may just be that someone needs a little cash. It will get taken from your pocket really fast. Don't line jump outside: I understand if your friend is running 5 minutes late but 3 hours? Come on! The venues not that big, you can find people inside. If you want to be close, go early! Its fun to talk to the people in line, you get fun local bands coming to say hey (shoutout to Dan Rudd of This Is Breathing!) and you know you deserve when you are front row. People remember those who jump in front of them, the next show can be bad. These tips should give you (and the rest of the people at the show) a better time. You won't be "that girl" and you should make friends! These people are there to see the same bands as you so why not go say hi!? Hit me up on twitter if you have any questions (@GladJewCame) and shoutout to @ashleydeekeen and @marlee_xoxo for helping with these tips! Hello everyone! Gabi here with the start of (yet another) series for my blog! Im going to give you tips so you aren't "that girl" at concerts that everyone wants to either smack or hates forever. I figured I would split them in to Arena type shows and Club (small) shows, look for my club show post soon! 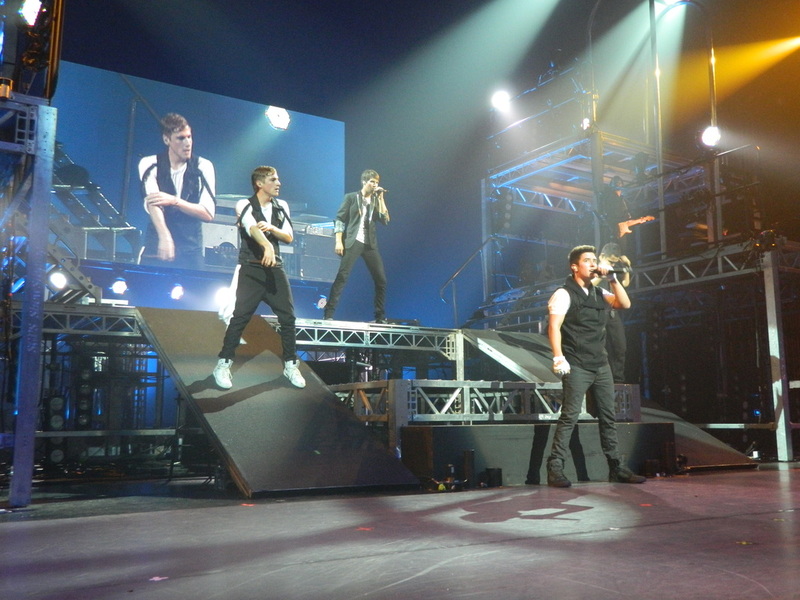 Arena/Big shows (Big Time Rush, Better With U Tour, Chicago): These are easier to be honest. You get your seat ahead of time. You go sit in it and enjoy the show from wherever you are. 1. The band runs by you. Good! Go slap hands! Get a hug if you can! DO NOT PUSH. Security guards who do these events do EVERY EVENT IN YOUR CITY and will remember the girl who pushed them over to get to Harry Styles. They won't like you, and that isn't a good thing. Security can make a show really nice, or just plain awful. 2. The band runs by the end of your row, but not by you. DO NOT KILL THE SMALL CHILDREN NEXT TO YOU JUST TO TOUCH HARRY STYLES. IT IS NOT WORTH MOTHERS SCREAMING AT YOU I PROMISE. 3. Even in big arenas (if you go to a lot of shows) you are likely to find someone you know. Screaming next out "IS THAT SARAH OMGGGGGGG" will get you a lot of dirty looks and won't make people want to help you out when you need it. Go say hi, fan girl and go back to your seat. 4. Children next to you. 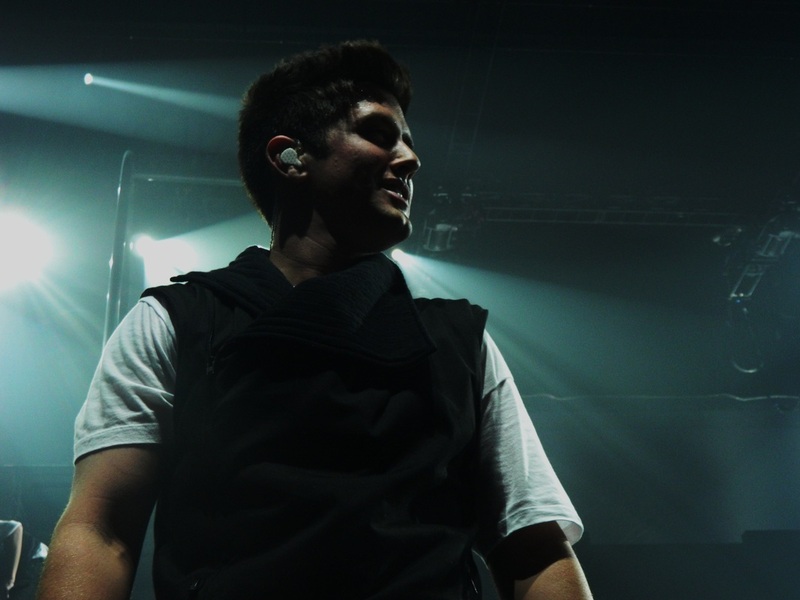 Ive picked up a lot of kids at Big Time Rush concerts and other shows too. If you can barely see, the kid half your height sure can't see. Ask the parents, if the kid wants it, pick them up! I picked up a little girl in the front row of the Big Time Rush concert at the State Fair last summer and during the last song girls rushed our row. I don't like to think about what would have happened had she stayed on the ground, she might have been 5 and was absolutely tiny. Look at the photo above. What band is it? Well thats a silly question, its One Direction. But sometimes a photo or a video or a website isn't so easy to see who is behind it or if its even real. Its the internet, not everything can or will be true. A rumor can start jokingly or actually come from a legitimate source but either way thats all it is, a rumor. Until an account like @onedirection or @bigtimerush or someone actually in the band confirms anything, don't believe it! One Direction's having a TV show? Your proof is a sketchy website that doesn't even give any idea what it would be about? There's no IMDB? Then it probably isn't true! Tumblr is a place a lot of things start but Twitter is to blame too. The beautiful thing about the internet is you can be anyone you want to be but that is also the downfall of the internet. You put a bunch of teenagers who want to believe something and BAM, you have yourself drama among thousands of teen girls. The point is this: A DM is very easy to fake, you don't even have to be good at photoshop. Anything can be "quoted" from a band member, if you have any doubt at all, find the original audio/video. Pictures of things aren't even hard to doctor thanks to free photoshop trials. Don't believe everything you read or see. Ask for proof. Alright, I know you all love cute guys and dance music and this group gives you both. 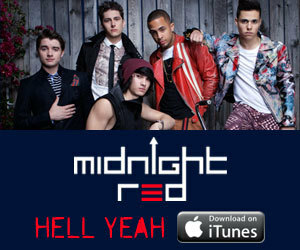 Midnight Red is a new boy band on Interscope Records. With fun, pop music this new band is on the way up! The group has released a few tracks, including "One Club at a Time" and "Hell Yeah", both upbeat and a bit different from the other boybands out right now. The group has supported great people so far including "Call Me Maybe" singer Carly Rae Jepsen and fellow up and comer Diggy Simons. Colton, Joey, Eric, Anthony and Thomas even have a few upcoming shows, including a show this coming Saturday at Mall Of America in Minnesota and a show in New York City. Information on the group and upcoming shows can be found on twitter @ItsMidnightRed! Be sure to follow them and check out all the music of this new, great up and coming boyband! Ellie Goulding? Someone I should know? But I've heard Lights! These may be a few thoughts going through your head right now. Ellie is my first artist I want you to check out because she is so much more then Lights. The album "Lights" charted #1 in the UK the first week it came out and has sold more then 850,000 copies there. She has achieved a huge level of success stateside as well with the song Lights hitting #4 on the Billboard Hot 100. She recently released a new free download of a single called Hanging On featuring Tinnie Tempah (which can be downloaded here: https://gumroad.com/l/vyCg) and it has received quite a bit of buzz. Her entire Lights album, with songs such as "Starry Eyed" and "Guns and Horses", is a must have, with catchy lyrics and beautiful vocals. Ellie is one of very few Top 40 artists who I will continue to listen to for many years and I encourage you to give her other music a listen! Hello visitors! This is my personal page about what I like in music, TV and film. Some of these things ARE opinion based but thats what makes it fun! Thanks for checking us out!